Do you suffer from dry and chapped lips problem? If yes, then here we are going to provide the solution for your problem that is “PERFECT LIP BALMS FOR DRY AND CHAPPED LIPS”. These lip balms help to make your lips look soft and smooth and dry and chapped lips usually appear in winter or cold weather due to severe cold outside so we think that you need to pay extra attention to your lips in winters. (2) Licking or peeling your chapped lips. (3) Harsh U.V. rays or sun rays. 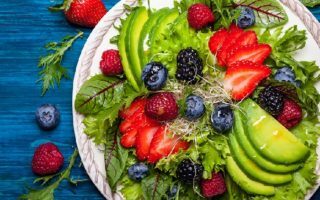 (6) Lack of vitamins and other nutrients. (8) Alcohol or beverages like tea or coffee. 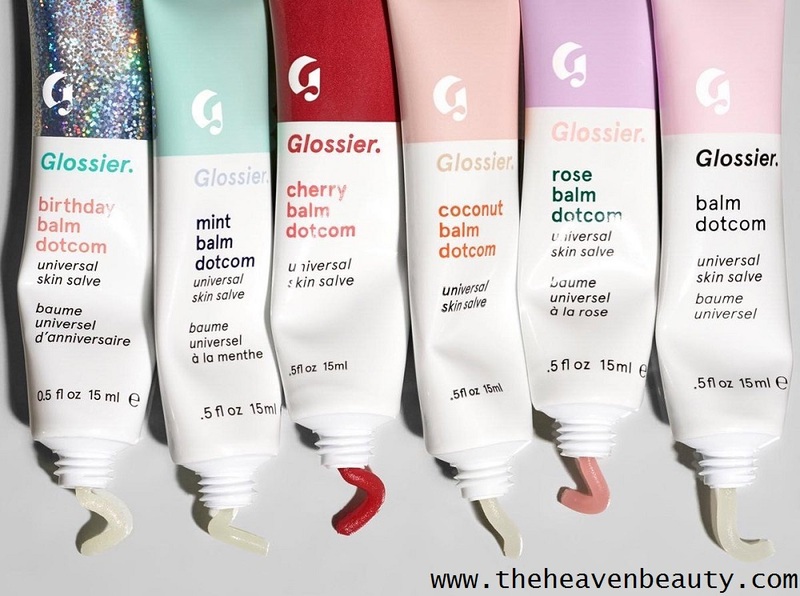 Glossier Balm Dotcom Universal Skin Salve is an amazing lip balm with six amazing flavors like birthday, cherry, mint, rose, coconut and original. It also helps to hydrate and moisturize your lips by repairing your skin cells so that it gives you wavy and glossy lips. This lip balm is paraben free and contains a hypoallergenic formula and this balm quickly absorb and moisturizes your lips for a longer time. All these five different flavors are fragrant but there is no fragrance in the original balm that is the sixth flavor so you can select any flavor of your choice for smooth lips. As the name suggests, it contains 100% natural ingredients which are free from parabens, SLS, petrolatum, and phthalates. 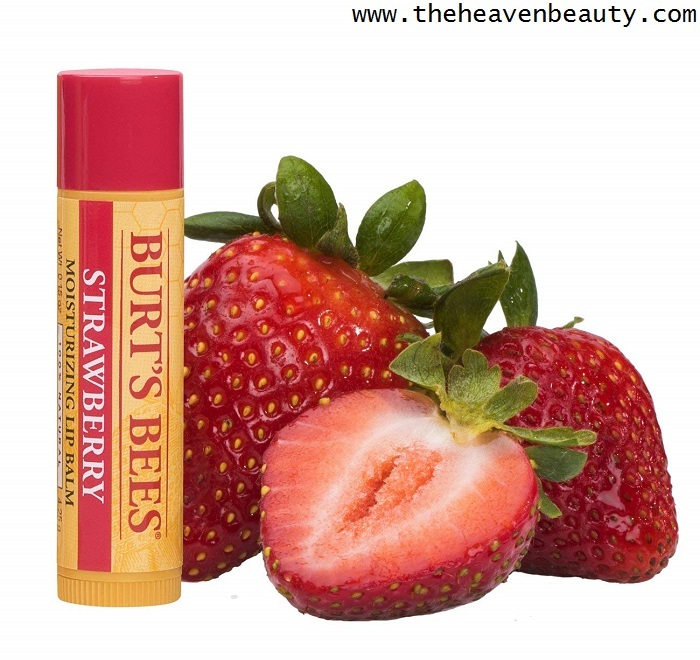 It is enriched with the sweet juicy flavor of the strawberry extract which helps to hydrate and gently soothes your dry lips. You will feel refreshed and hydrated all day long and also make your lips look smooth and silky for a longer time. This juicy lip balm helps in healing your lips so that it looks perfect and beautiful. This gorgeous natural moisturizing lip balm comes with a lot of amazing flavors that you can try for perfect smooth lips such as medicated, pomegranate, honey, blueberry and dark chocolate, wild cherry and vanilla bean, coconut and pear, mango, vanilla bean and others. 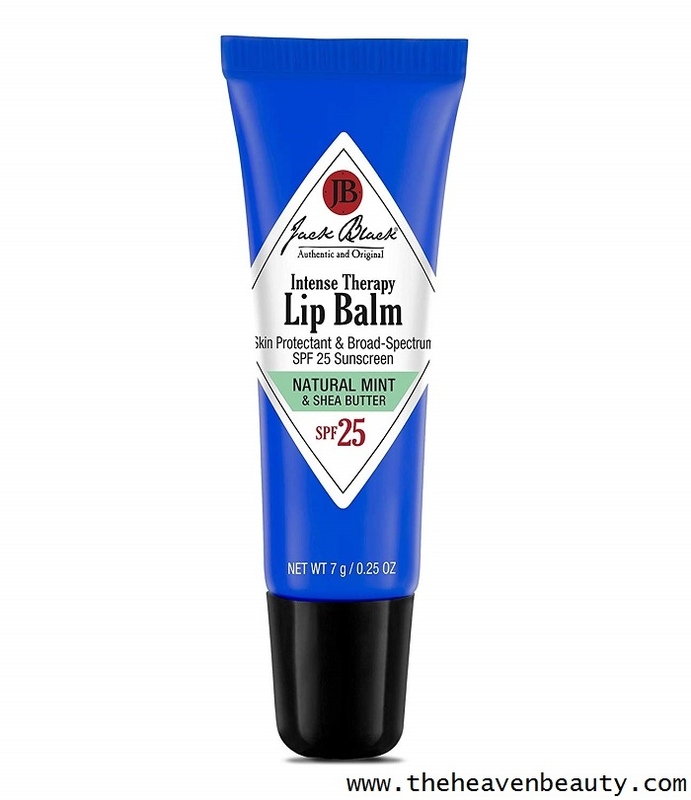 Jack Black Lip Balm SPF 25, enriched with Natural Mint and Shea Butter is made in USA. It helps to provide relief from rough and irritated lips and even prevent sunburns that damage your skin cells. It protects your lips from harmful U.V. rays and even hydrates your lips in winters and summers. This lip balm is rich with the goodness of Shea butter and avocado oil that helps in deeply nourishing your dry lips. While Natural mint helps you feel refreshed and gently soothes your irritated lips. 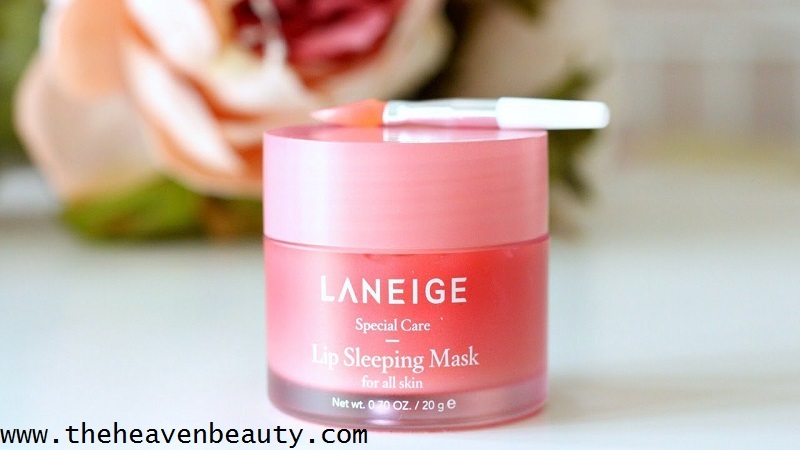 Laneige Lip Sleeping Mask is one of the great Korean beauty product which helps you to get rid of dry lips more quickly. It helps to cure your damage lips and quickly absorbs in your lips so that it gives you healthy and soft lips. This lip balm is free from parabens and phthalates and contains skin-friendly ingredients which lighten your dark lips. It helps in removing dead skin cells from your skin when applied during the night to give a smooth texture. This lip balm also contains several other flavors like apple lime, vanilla and grapefruit which helps in taking special care of your damaged skin and it is suitable for all skin types. 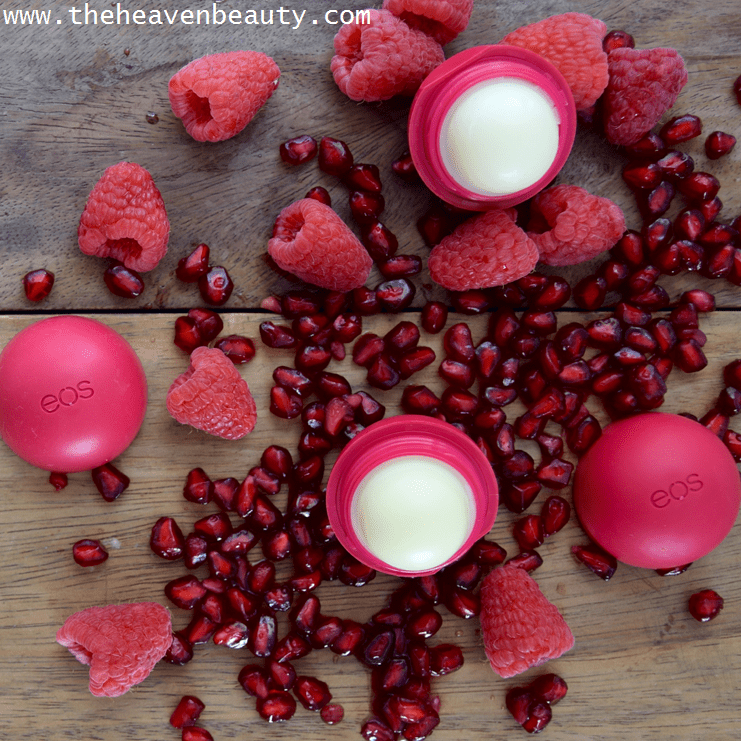 EOS Organic Lip Balm enriched with Pomegranate and Raspberry contains 100% natural ingredients and it is enriched with Organic oils, Shea butter, and fruit extracts. And these ingredients help in maintaining your dry lips and improves the natural beauty of your lips. This product is free from paraben and petrochemical substances and it has been tested by a dermatologist and even it is not tested on animals. It is hypoallergenic and free from gluten so this lip balm really helps in gently hydrating your cracked lips. It also comes in various other flavors like blueberry acai, honeysuckle honeydew, summer fruit, sweet mint, strawberry sorbet, cherry, lemon drop, sweet tangerine and passion fruit which you can definitely try according to your choice for beautiful lips. 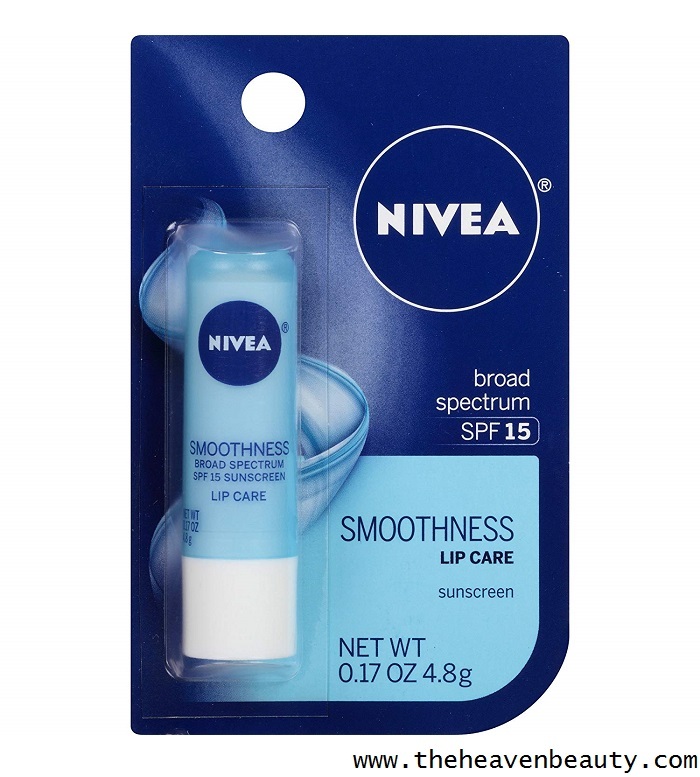 Nivea lip balm SPF 15 helps to protect your lips from harmful sun rays and also prevent sunburn that damage your skin cells. It is enriched with the goodness of Shea butter and Aloe Vera which helps to lock moisture to prevent dryness. This lip balm contains a creamy texture and absorbs quickly in your lips and even hydrate your lips for a longer time. 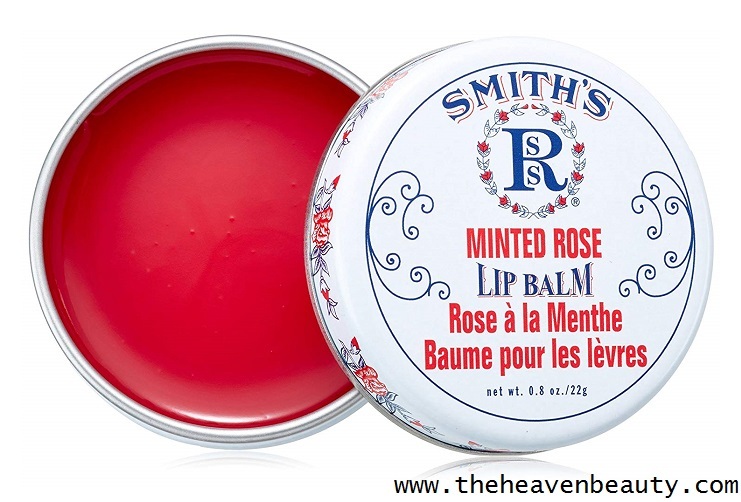 Rosebud Lip Balm enriched with Minted Rose is a fantastic lip balm which helps in curing cracked lips and contains a smooth texture that makes your lips look soft and smooth. It even deeply nourishes your lips for a smooth touch and gives little shine and color to your lips. So that your lips look beautiful and soft and you need to use it every day for amazing smooth lips. It also helps to soothe your dull lips and refreshes them for the perfect look. USDA Organic Lip Balm is made of 100% pure and organic ingredients and this product is made in the U.S.A. It comes in six different flavors like luscious Tahitian vanilla, cherry bomb, eucalyptus mint, tropical coconut, tangy citrus and bliss of strawberry. 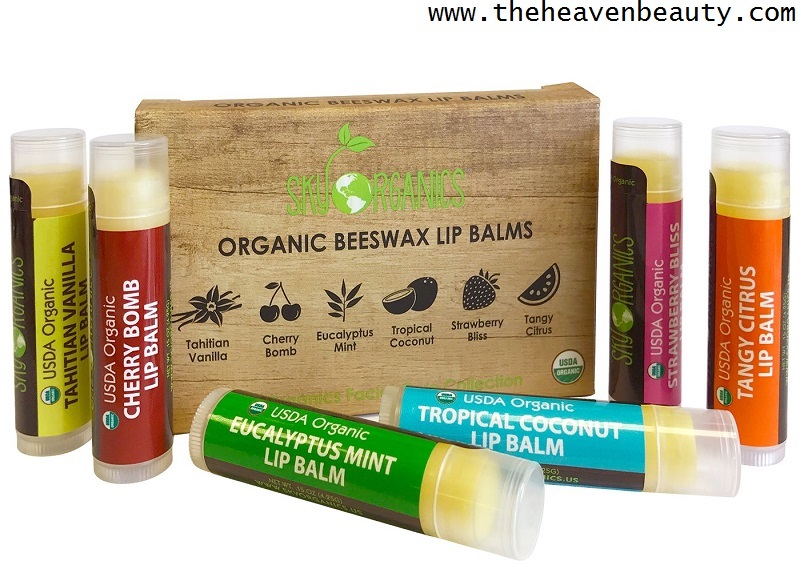 This organic lip balm is amazing and safe for very sensitive skin. It contains pure organic ingredients like sunflower oil, beeswax, coconut oil, vitamin E, rosemary extract, calendula and natural organic flavors which is great for your dry lips. It is even free of toxic substances, GMO, gluten, chemicals and oil which goes well for dry lips. This gorgeous organic product is safe to use for children as well as adults. If you want to try an organic lip balm, then give try to this lip balm for the best result (any flavor of your choice). It will definitely give you smooth, hydrated lips and prevents crack on your lips. 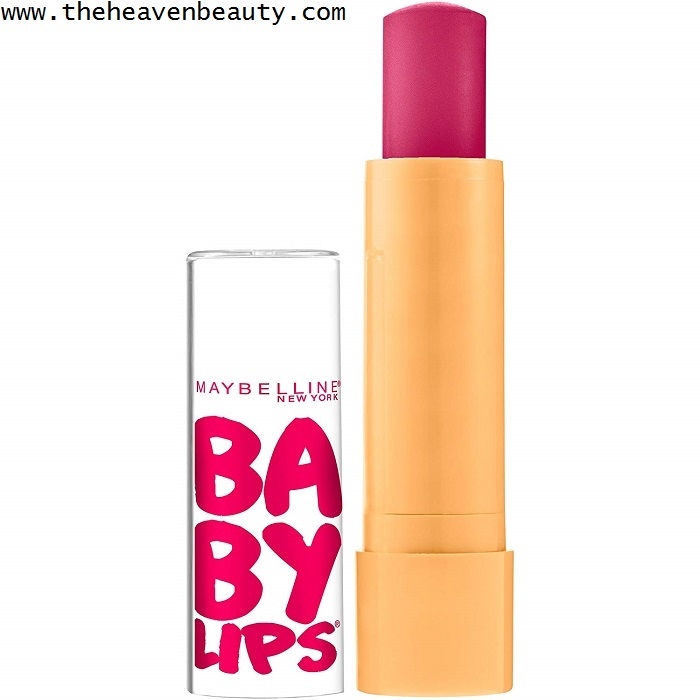 Maybelline Baby Lips enriched with a Cherry Me flavor and is an amazing lip balm which helps to gently hydrate your dry lips. It also protects and deeply nourishes your lips for a smooth touch. This hydrating lip balm also helps to moisturize your cracked or chapped lips. Even helps to heal dry lips more quickly and gives you baby pink soft lips, there are many flavors available and you can try any of them. 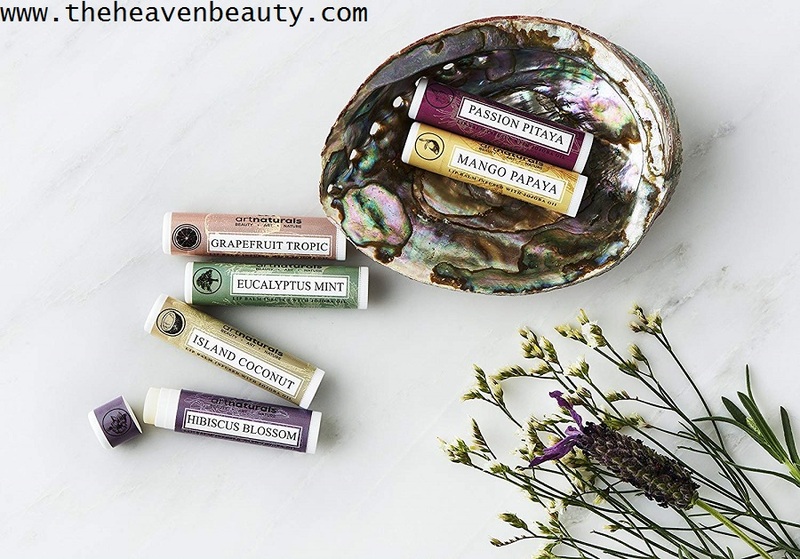 Art-Naturals Natural Lip Balm Beeswax comes in six different flavors like island coconut, passion pitaya, mango papaya, hibiscus blossom, grapefruit tropic, and eucalyptus mint. These are great flavors for humidifying your dry lips and it consists of natural ingredients like jojoba, coconut and sunflower seed oil which nourish your lips. This lip balm also protects your lips from harmful sun rays that damage your skin cells. It consists of other natural and organic ingredients such as Aloe Vera, jojoba oil and castor oil. And it helps to soothe your lips and also provides moisturize touch to it and this lip balm contains a creamy texture which helps to make your lips look soft and smooth. Hence, these are some of the perfect lip balms for damage lips that make your lips look smooth and glossy. You need to choose one of your favorite lip balm from above and apply it regularly for the best result. So that your lips stay hydrated even in winters to protect it from severe cold. (1) Drink adequate amount of water to hydrate your dry lips. (2) Use organic lip balm that is free from parabens, SLS and artificial colors. (3) Scrub your lips to exfoliate dead skin cells. (4) Avoid licking your lips. (5) Prevent smoking and alcohol. (6) Try to have fewer beverages like tea or coffee. (7) Take healthy diet for beautiful lips. Thus, these are various tips that you should keep in mind for making your lips look soft and smooth. Even you can use various types of carrier oils like coconut oil, olive oil, sweet almond oil, and jojoba oil. It helps to deeply nourish and moisturize your dry lips and make sure that you apply your favorite lip balm daily to avoid dryness on your lips.